Posted a wanted ad on MSCCNC forum and found some stock 14" the same day. 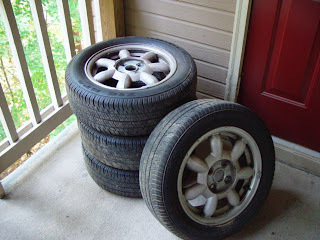 Aluminum "daisies" with tires that should still have a few races in them, all for a hundred bucks! Will try to pick them up when I'm back in town next week. Really, really itching to go to an event now.